Lochhill Equestrian Centre is a registered Pony Club Centre. The Centre Membership Scheme was launched by the Pony Club in 1998 to enable those without their own pony, who ride at riding schools, to become Members and take part in all that The Pony Club has to offer. Membership application forms are available from the office. We offer a wide range of activities throughout the year. 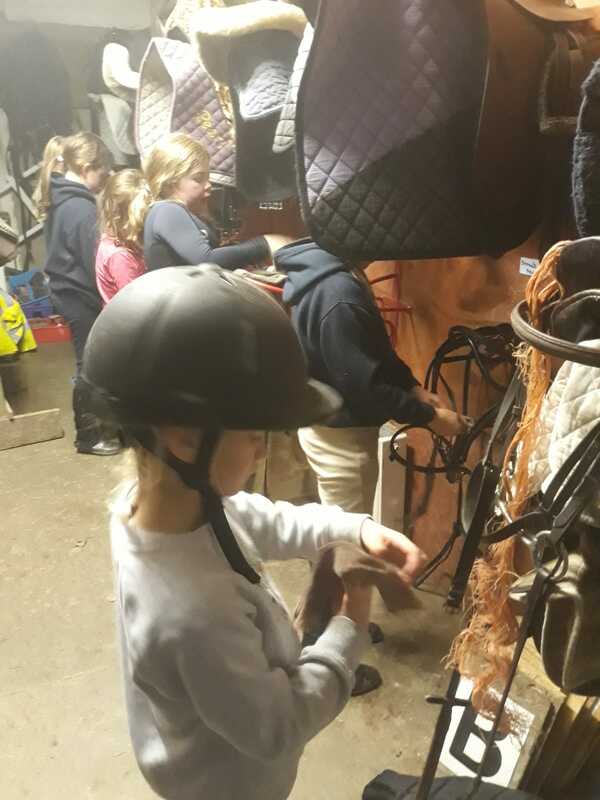 Our pony club meets on Saturday afternoons during term time in the winter months. 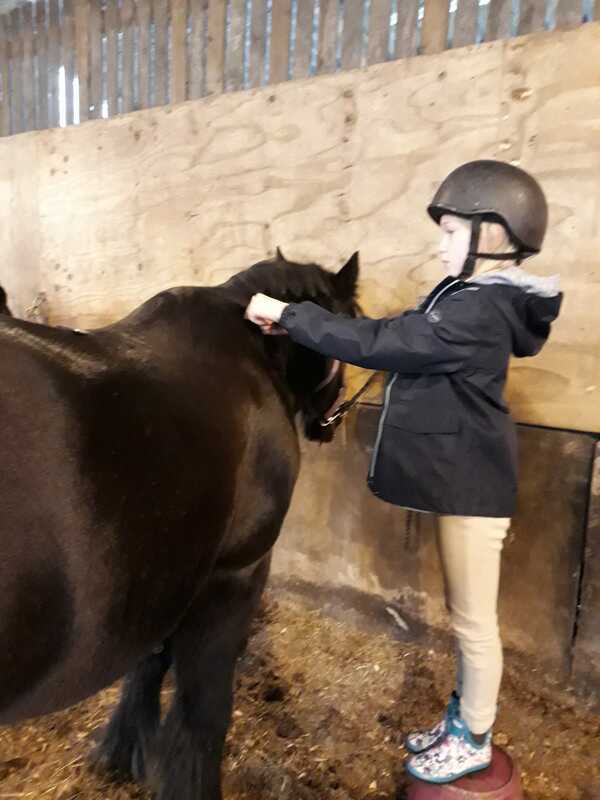 At these sessions, the children are taught various topics – grooming, plaiting and trimming, tack, stable management, feeding and much more. There is riding instruction tailored to children’s individual needs and designed to build confidence. 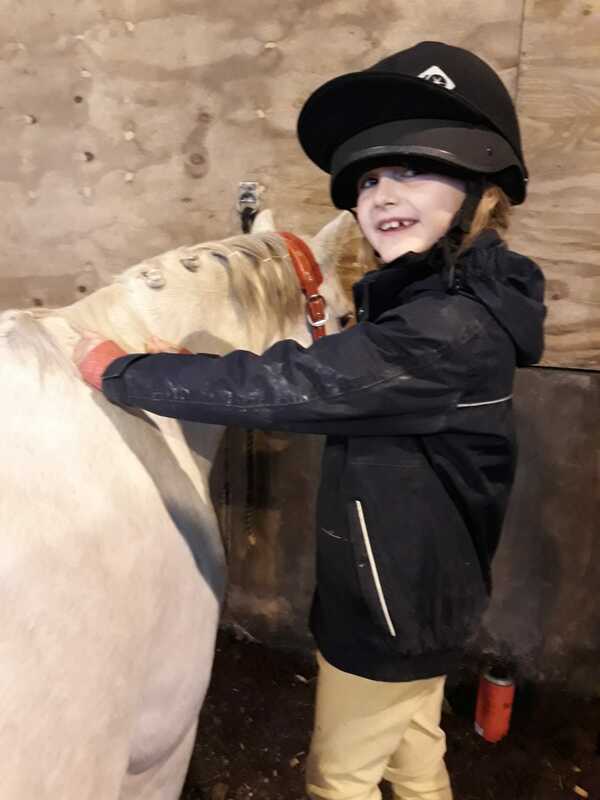 We also run fun days during school holidays when the children take part in gymkhana games (a great confidence builder as the children ride lots of different ponies & take part in fun activities), quizzes, treasure hunts, show jumping competitions, etc. The children work towards the achievement badges which are awarded at the end of each session. 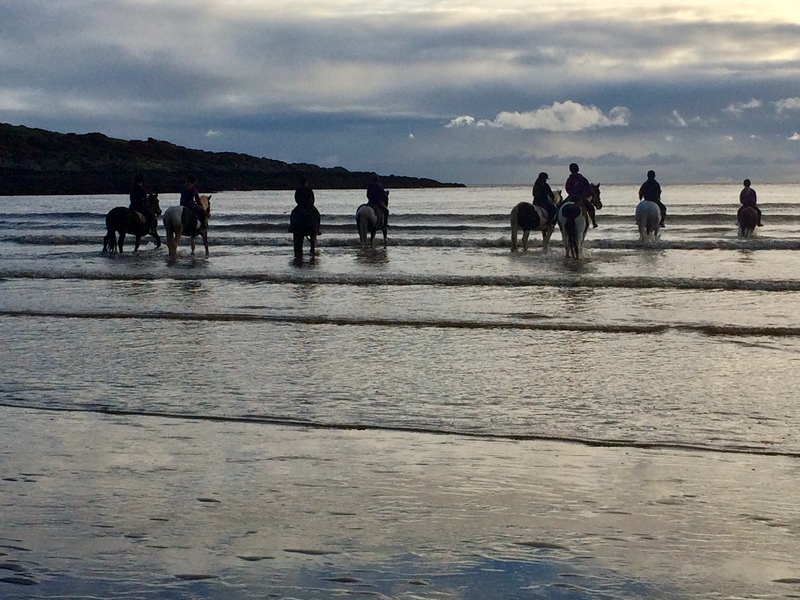 We also participate in local team show jumping events and, for our older members, organise cross country training and beach rides. In the past we have run a Residential Pony Club Camp during the school summer holiday for members aged 10 years and over. 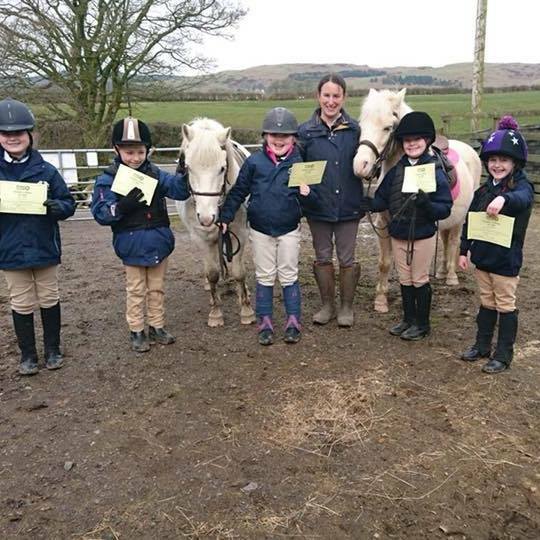 The children were each allocated their own pony for the duration of the camp and were responsible (with supervision) for the care of the pony over the 4 day period. 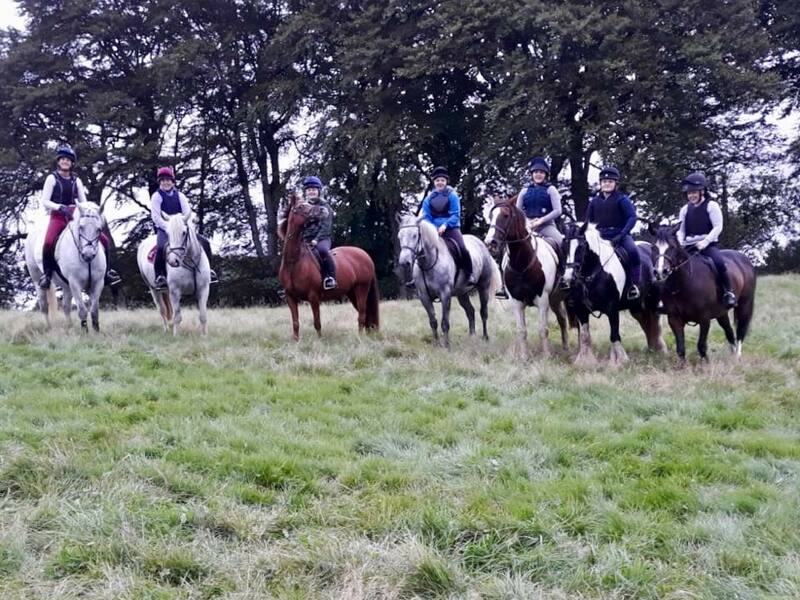 The children all participated in a very busy and varied programme of events including gymkhana games, show jumping, dressage, a picnic ride, a treasure hunt, a skils display by staff members, visits to local activity centres, doggy showjumping and lots of fun and laughter. The camp ended with a grand finale which was a demonstration of showjumping & dressage skills and a musical ride which gave the children a chance to show off their new/improved skills to family and friends. The camp has been a huge success i the past and depending on interest and the age of our members we will look at running a residential camp again in the future. We also run day camps during the summer holidays which give the children the opportunity to take part in gymkhana games, show jumping, pony trekking and games. The day camps are very well supported and everyone really enjoys the activities. 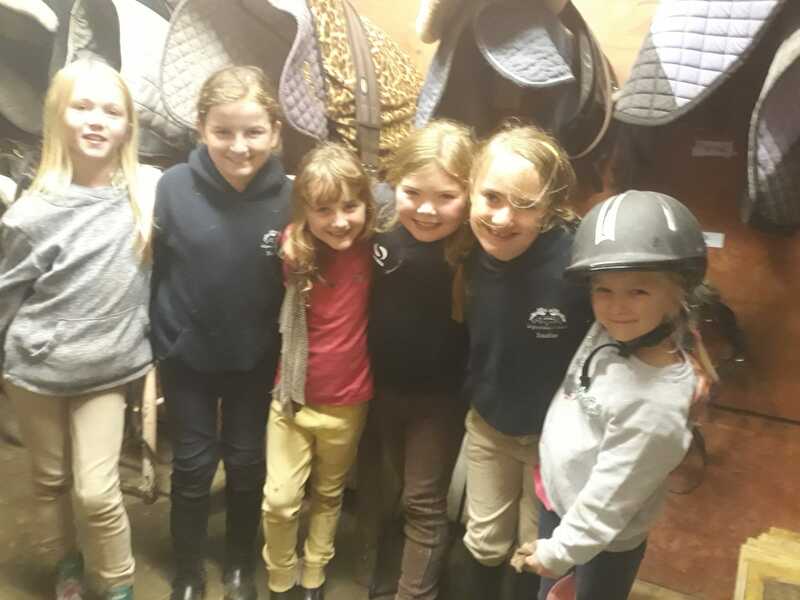 We also hold fun days for Pony Club members during the school holidays – information can be found about forthcoming events on our events page and on the office notice board so please keep a lookout for our next events announcement!